CentralNic Group PLC (LON:CNIC) Chief Executive Officer Ben Crawford caught up with DirectorsTalk for an exclusive interview to discuss the acquisition of KeyDrive. Q1: We saw this morning’s news, how does KeyDrive add to CentralNic’s business and its offerings? A1: In many ways. To start with, KeyDrive’s revenues are 50% higher than CentralNic’s so this is actually a reverse and even on trailing then we’ll be increasing our revenues by 150% and this is also a highly-profitable and growing business, so it fits in exactly with the kind of profile we like. It also has some different software platforms that we don’t have so it means now, as a combined company, we’ve got a product for every different customer type. Lastly, it makes us into a pure play recurring revenue business so over 91% of the revenues of the enlarged group will be in the recurring category. Q2: Why has this been considered as the right time for the acquisition? A2: From our perspective, I guess we were too small to do an acquisition like this earlier but the industry is consolidating all over the world at the moment and also private equity has had a lot of interest in our industry as well so there are many deals happening at a much larger scale than this around the world. So, I actually approached Alex Siffren, the main shareholder of KeyDrive when we were at an event in Las Vegas 18 months and said ‘look, we know the industry is consolidating, we think you’ve got a fantastic company, if you think the same about ours then we should talk’ and so happily, 18 months later, we’re all one business. Alex has rolled over his shares in KeyDrive and is taking a CentralNic paper and becoming our Chief Operating Officer so it’s a bit of a fairy-tale really to get everything falling into place so beautifully. Q3: How has the deal been funded then? A3: So, as mentioned, Alex is the majority shareholder who’s taking almost all CentralNic’s paper and then we’ve raised £24 million from both existing shareholders and 17 new institutional investors have decided to join our register. So, we’re using that money to take out the minority shareholders. Q4: How does the company plan to grow organically from the deal? A4: Well, we have an excellent track record of organic growth, last year we grew our topline 10% and EBITDA at 20%. Obviously, we’re intending to work together with KeyDrive to continue growing, that’s ahead of what our industry is growing at and our main focus is on emerging markets. So, if you look at the more established markets in our space which is providing companies tools to get on the internet in the United States and Western-Europe and so on, there are massive multi-million dollar companies who started out small, got a significant market share and then grew as everyone started using the internet. Our objective is to find countries that look like the US and Western-Europe 10/15 years ago with large populations, knowing that all the companies in those countries will also start to use websites and email and so on, so we can grab some early market share in those countries and grow with them. 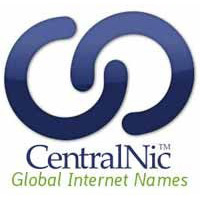 Q5: So, with the deal in place, how will CentralNic differ from its competition? Back in December, we also made another important acquisition of a company called SK-NIC that runs the country code for Slovakia, ‘.sk’. It’s a phenomenally good business but it was a very difficult deal to get across the line; it involved contracts of governments, it involved a lot of dealing with local laws and so on. We’re good at that and that really gives us an edge when it comes to entering into emerging markets because whatever peculiarities and complexities, we’re up for it and it means, once you’re in that country and you have good market share, it’s difficult for other people to compete with you. Q6: What’s the key investment proposition for the company now? A6: It’s a 91% plus recurring revenue business. If you just look at proforma last year, over £50 million from the £74 million of revenues came from existing clients to simply renewing their contracts, in other words, paying so that their website and email continue to work, that’s fantastic quality of earnings. I know in the past, we did some premium domain name trading which contributed to our profits in years past, we’ve taken that out of our forecasts, we’re a pure player recurring revenue business and we’re at scale now. Q7: Has this changed CentralNic’s core business strategy? A7: I guess our core business strategy over the past couple of years has been to combine our organic growth with growth by acquisition to increase exposure to emerging markets and to try and move more and more to become a pure player recurring revenue business. So, I’d say this actually crystallises our strategy and gets us exactly where we told people we’d be and now we’re there. Q8: Market forecasts now give a target price of 100p and a valuation of £170 million. The shares were suspended pending the RTO at 58p and that’s now a discount of 42% so obviously the deal is a really good one? A8: Absolutely. I think those numbers speak for themselves, I think it’s probably better that you present the case than I do but you’re absolutely right. Q9: The deal itself, what are the particular attractions of the deal? A9: Firstly, fantastic quality technology that we’re getting here that addresses a couple of markets that we’re not in at the moment, very interesting markets. So, one of the things that KeyDrive does is it gets all the different country code domain names, so every country has its own code, like ‘.co.uk’ in the UK, and it combines them all onto a single platform and makes them available to the biggest retailers in the world to sell. So, they actually have 5 out of the top 10 retailer domain names in the world including the biggest are their customers so that’s a great place to be because it means as the biggest companies in the world grow, we grow with them. The second area that’s really very interesting, there used to be an AIM company called Group NBT that did this, and this is corporate domain name management. So, for Fortune500 companies and some of the best-known brand names in the world, they actually manage their domain names in the same way as their lawyers manage their trademarks, it’s a way of protecting their brands. This is a phenomenally good business with absolutely blue-chip client base so we’re very excited to be involved in both of those two things. Of course, lastly, to have the founder and managing holder want to stick with the business, take CentralNic paper rather than cash and actually join us for the next years of grow, shows that these guys exactly have the right character that we’re looking for, that they don’t see this as an exit or an end, they see this really as the beginning. Q10: How easy will it be to integrate the two businesses together? A10: Well, happily, we’ve been doing business for about 10 years and we have been discussions for a year and a half, so we actually agreed about a year ago to start outsourcing various functions to each other, so our teams have been working together for a long time. Of course, when there was a leak, which led to the shares being suspended, we were able to openly discuss with all of our staff what the merger would look like. So, we’re actually very far advanced on integration plan compared to most companies when they’re first announcing this kind of deal and I think the company’s have very similar culture too which is very helpful. I think the only difference, and this won’t be surprising to you, the Germans are mainly focussed on excellence in engineering and the London-based company, I’d say, excellence in business development so it makes a phenomenal combination. Q11: Now, you did say it was a transformational deal, in what way would you say? A11: Well, to start with, it takes CentralNic to much more significant scale, it takes us to a pure player recurring revenue model and it gives us a platform for every customer type in the industry so really it positions us in the right place for future growth.